Yes, you read that right. 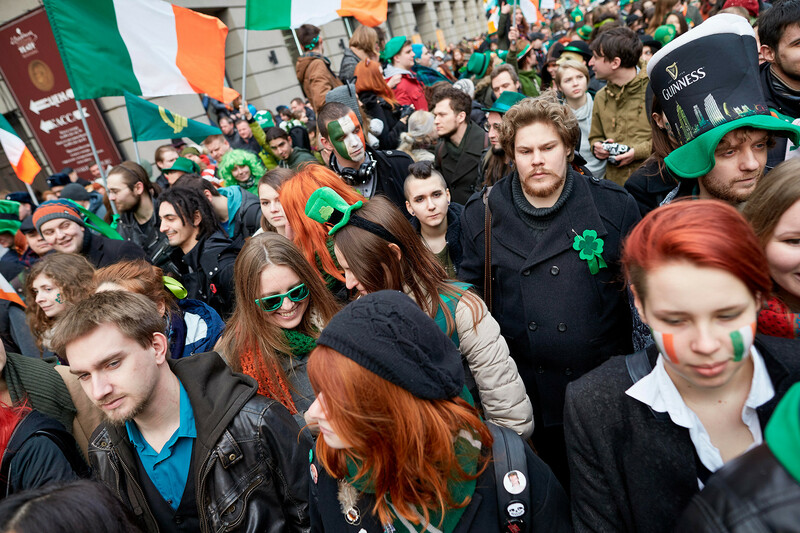 In Moscow, St Patrick’s Day will not just be celebrated on March 17 – the festivities will go on for an entire week! Whether it’s Irish dancing, Oscar-nominated films, or green pints, we’ve got you covered. 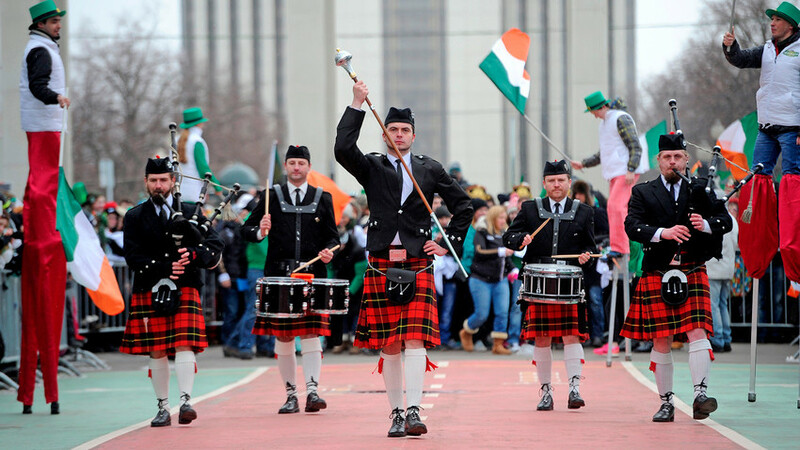 The St. Patrick’s Day parade is a staple in pretty much every Irish strip of land with a pub and a post office, and it’s been a tradition for a while now in Russian capital. 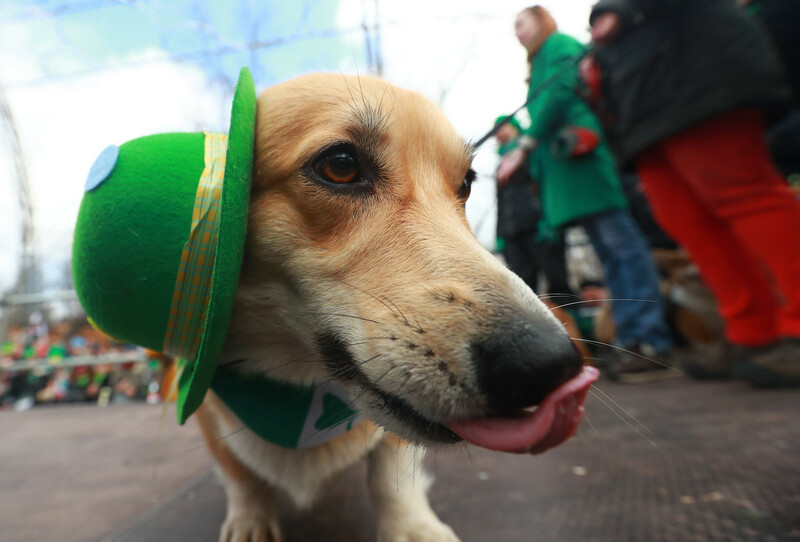 Taking place on March 26 in Sokolniki Park, Moscow Irish Week’s headline event promises to be one of the most colorful displays of the year, offering a lively exhibit of dancers, trad music, and the cutest Irish dogs. The Moscow St. Patrick’s Day parade also differs from its Irish counterparts in that it tends to attract some distinctively weird costumes. At times, it can look like a friendlier, daytime version of Halloween: Don’t be surprised if you run into people dressed as rats, Vikings or tarantulas. Not exactly traditional, but worth seeing for a laugh. The organizers put in the big ones for this event, bringing you a thrilling smorgasbord of Irish films from all genres. Taking place on March 14-25, the Festival boasts global premiers, meet-and-greets with actors Barry Ward and Martin McCann, and public Q&As with directors Juanita Wilson, Maurice Fitzpatrick and Damien O’Connor. Among the screenings are thrillers Maze, documenting an IRA-led 1983 prison breakout in Belfast, and Bad Day For the Cut, an action-packed shoot-out movie set in the Irish countryside, in which a middle-aged farmer sets out to avenge the killing of his mother. If that all sounds a bit rich for your blood, there’s also Maudie, a Nova Scotia-based love story starring Ethan Hawke, and Rogues and Wanderers, a series of emotional short films harnessing the solitude of rural Ireland. Check out the full schedule here. Some of the films will also be screened in St. Petersburg at KARO Ligov cinema this weekend. Don’t feel like sitting still? This is the event for you! For the entire evening of St. Patrick’s Day, Moscow’s enormous Izvestia Hall on Pushkin Square will be taken over by an 8-hour marathon of the best trad and Irish dancing the Emerald Isle has to offer. Among the performers will be groups Tintal and Troll Bends Fir, as well as Irish folk group CUAS. The musicians will be accompanied by the finest of jigs, among them members of Michael Flatley’s Riverdance. Bring your dancing shoes! From March 20-30, the Zverev Center of Contemporary is host to ‘Invasion’, a Russo-Irish exhibition by visual artists Aaron Smyth and Valery Korchagin. Made entirely out of recycled materials, Korchagin’s installations explore the concept of invasion by misplacing objects to form a complex display of brutality. Smyth, on the other hand, uses paint to express the geometric nature of humans and the rigidity of modern society. 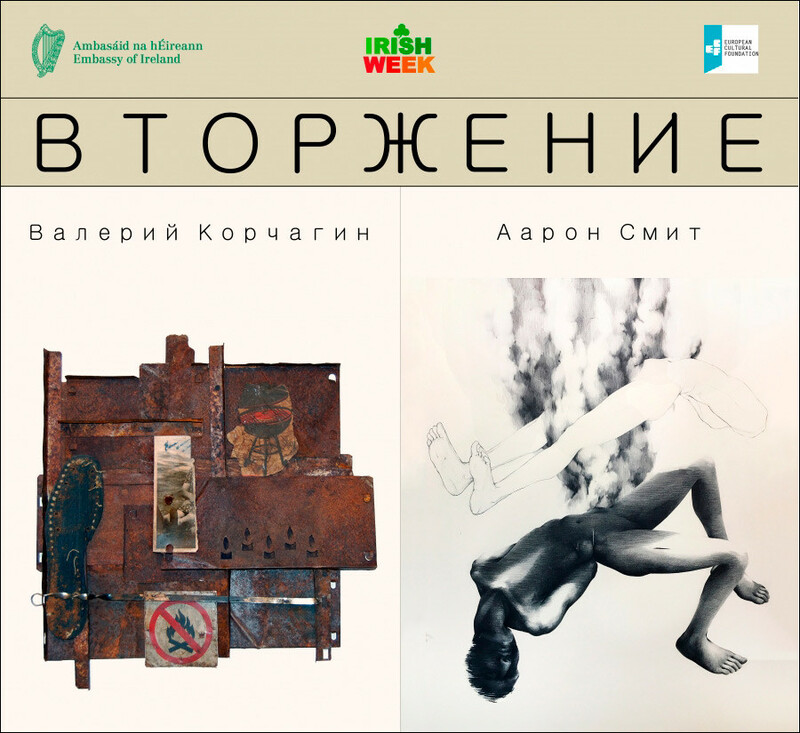 The two displays are expressive of the artists’ identities and vulnerabilities in their home countries, providing unique insights into the essence of the Irish and Russian cultures. Read more here. I’ll let you in on a little secret. 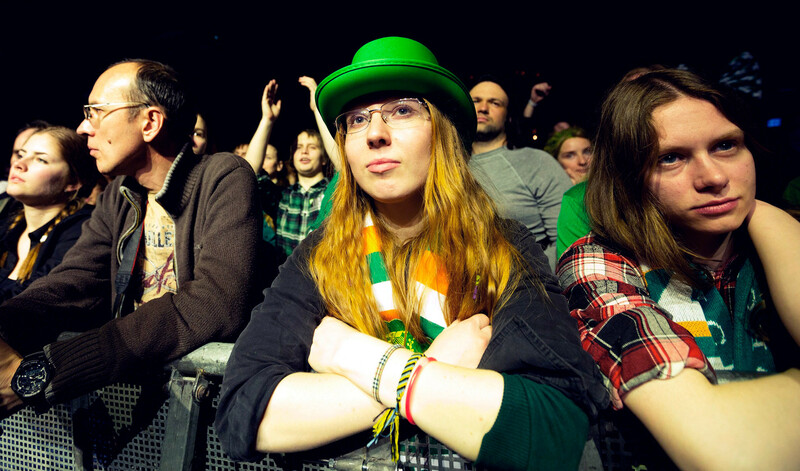 You’re unlikely to find any actual Irish in Moscow anywhere but the pub this St. Patrick’s Day – after all, the Irish national rugby team has the chance to win the Six Nations ‘grand slam’ against England on March 17 (provided to the team that wins all its matches). Head on over to Katie O’Shea’s for that, and expect a lively atmosphere. If rugby isn’t your thing, but you still feel like getting in the Paddy’s Day spirit by grabbing a pint, fear not. Moscow is home to a surprising amount of Irish pubs (albeit with massively varying degrees of quality). Check out our essential guide to Moscow’s Irish pubs to make sure you don’t go wrong. 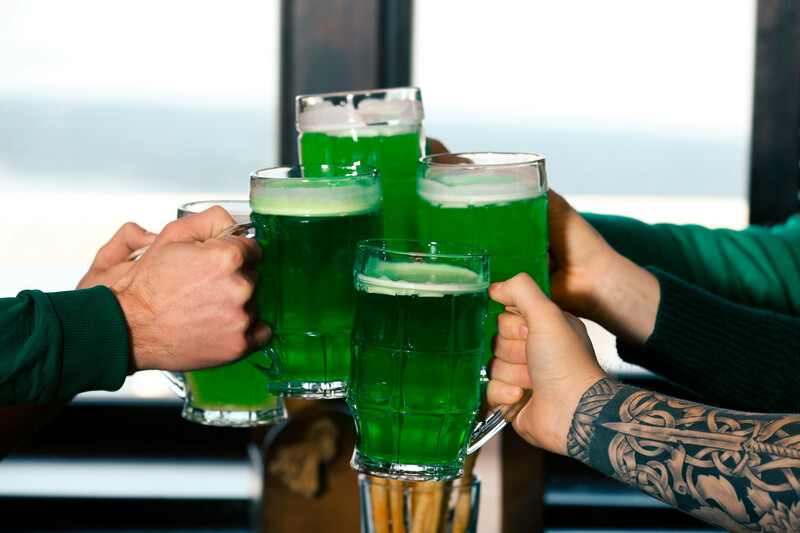 Some pubs and restaurants are also offering specific Paddy’s Day-themed events this Saturday: Head on over to Chicago Grill & Bar for an exclusive Irish cuisine workshop, or alternatively, you could check out the Irish craft beer tasting session at Lookin Rooms. Cheers! Why do Russians attend a parade celebrating an Irish Catholic saint?